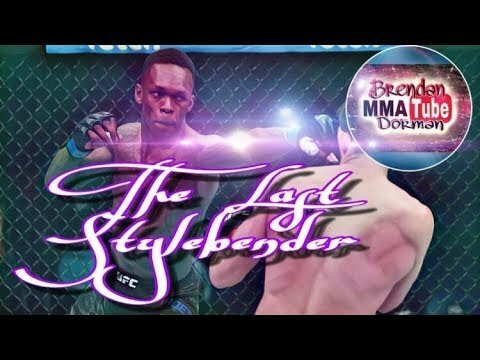 Israel The Last Stylebender Adesanya, is a 28 year old Mixed Martial Artist recently signed with the UFC. That has striking enthusiasts thrilled upon and his signing and subsequent debut. He, along with others like Gokhan Saki, are making the exciting and infrequent transition from top-tier / upper-echelon striking, into the highest level of Mixed Martial Arts. Adesanya is (intelligently) training under World Champion Black Belt in BJJ; Andre Galvao (ATOS) and Kickboxing Instructor Eugene Bareman (City Kickboxing). And at 6’3″ with an 80″ reach, and an extremely impressive striking pedigree. He makes for a very interesting addition to the 185 lb. division in the UFC. His 82-6-2 professional combat sport record, including a good stint for Glory Kickboxing. And a 12-0 record in MMA, his experience alone should make a lot of the hype justified, seemingly. While he has flashed grappling in spots, most of what we have seen. Ergo will cover will be based upon his striking. Like many / most of my favorite strikers he has ambidextrous tendencies (in his case, very frequently). And utilizes his range, angular sense, and insane reflexes to often hit and not get hit. DISCLAIMER: I disagree with the Jon Jones comparisons entirely. Israel is a striker turned mixed martial artist, Jon is a wrestler turned mixed martial artist. It’s not on me for pointing this out, perhaps it’s more on you for thinking it.